it is interesting to note that David Milliband in his efforts to disassociate himself from his own decision to vote for the obscene abuse of power and murderous invasion of Iraq by exposing the truth that Tony Blair and some in his clique deliberately lied about Sheik Hussein claiming dishonestly, with lies to Parliament, The Queen, the peoples of Britain and our allies that Iraq held weapons of mass destruction usable on an international basis. We all now know that this was a deliberate lie by Tony Blair and a few of his odious Labour cronies synically supported by John Scarlet who Blair rewarded with a Knighthood for his dishonesty and the fabrication of false ‘intel’ and the ‘Dodgey Dossier’ exposed to Channel 4 News and Newsnight andf the world by myself, with the help of 3 associates. We then note in the article below that Tony Blair is still telling lies in an effort to obfuscate the truth and avoid his rightful place facing the International Court in the Hague on a charge of War Crimes and Crimes Against Humanity. It is also worth noting the obscene action taken against Liyia by Britain and a few allies based on the contrived ‘Arab Spring’ and the destabilising of both Libya, Egypt and the Middle East by these actions including the apparent condoning of the obscene murders of both Sadam Hussein and Murmar Gadaffi and 1,000s of innocent civilians. Little wonder that we were resoundingly defeated in Iraq, Libia and Afghanistan and sadly as the actions were based on lies and ineptitude one can only concede we were deservedly defeated. How dare our political crooks use our military forces as mere bully boys and mercenaries for their own political aspirations! To say nothing of the Western World’s supply of arms and failure to act to prevent the War Crimes and Crimes Against Humanity of the Zionist oppressors and butchers of the IDF Terrorist Forces and their abuse of power and slaughter of the indiginous Palestinian peoples they hold captive behind walls and barbed wire and shoot, bomb and mortar with sophisticated weapons with the acquescence of Western Politicians and the profiteering of Western Arms Barons! 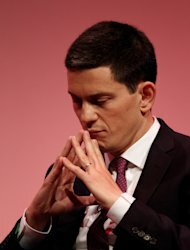 The 2003 invasion of Iraq by the US and its ally the UK helped to destabilize the country, leading to the rise of militant group Isis, admitted former UK foreign secretary David Miliband. As the US launched air strikes on the militant group that has seized controls of swathes of Iraq, Milliband said that the situation in the country nine years after the war “induces a high degree of humility”. “It’s clearly the case that the invasion of Iraq, or more importantly what happened afterwards, is a significant factor in understanding the current situation in the country,” Miliband told the Observer. He said that he accepted that the consequences of the Iraq war had left the majority of the public in the US and the UK unwilling to support interventions in the Middle East, even to prevent humanitarian catastrophes, such as Syria. When asked if deposed dictator Saddam Hussein would have been able to hold the country together, he replied “perhaps”. The remarks contrast with those of former prime minister Tony Blair, who in an essay on his website in June, described as “bizarre” the view that the chaos resulting from the Iraq war had led to the rise of Sunni jihadist Islamic State, formerly known as Isis.